Abnormals Anonymous draws inspiration from the beauty of nature’s oddities and then rewrites the story into one of luscious color and grand scale. The wallpapers are designed to speak to a refined audience with a curiosity for uncommon design. The eco-minded process includes printing all of the papers with non-solvent and VOC-free inks. Also, a new commercial strength ground material made from 31% post consumer recycled content (can contribute to LEED credits) is offered. Papers are fully customizable. 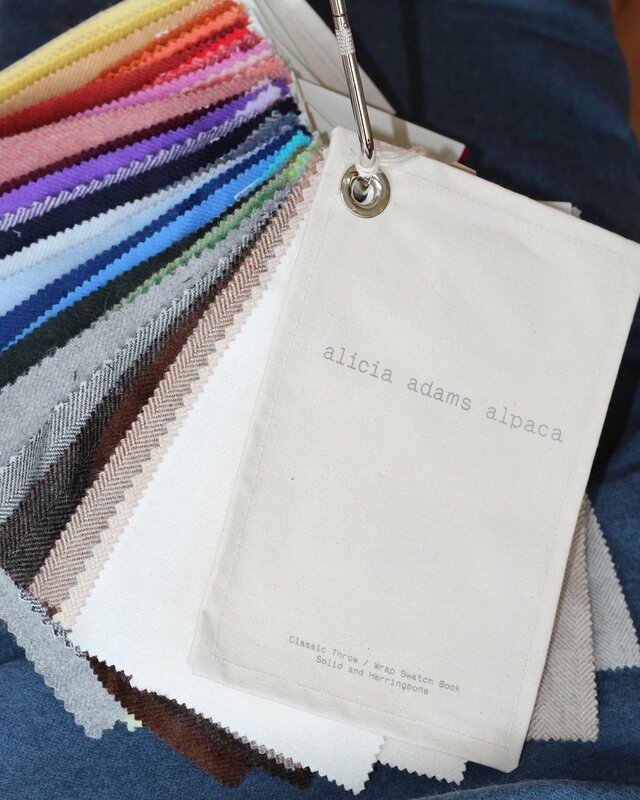 Alicia Adams Alpaca Inc. is a family business which specializes in the design and production of textiles and clothing utilizing the natural and sustainable characteristics of one of the rarest and most luxurious materials – alpaca wool. Alpaca wool, one of the world’s most luxurious fibers, is a jewel amid all the synthetic fibers and harsh materials found in our everyday lives. Softer than cashmere, and available in a wide array of colors, alpaca serves as a natural thermostat by using microscopic air pockets to trap body heat in cooler temperatures and to release heat in warmer weather. and surroundings. Pansy Bayou has numerous styles and sizes of their handwoven baskets that are perfect for shelf styling and functional for everyday storage. Creating her own line of fabrics, Charlotte Osterman brings to interiors the same distinctive and original use of color and pattern that she has expressed in fashion. This new collection of textiles for the home suggests Moroccan tiles or Matisse cut outs and includes inspired botanical motifs and a new take on lattice. These geometrics are subtle and bold — abstract florals both soft and bright. The natural fabrics are printed in the USA using non-toxic, water-based inks. Though more commonly known for their inspired lighting designs, David Weeks Studio also produces small batches of home accessories using the same techniques and materials. This three-piece set of powder coated bowls takes inspiration from the curves of our classic Shell shade. Hand-formed in the Brooklyn studio and coated with a gloss finish. 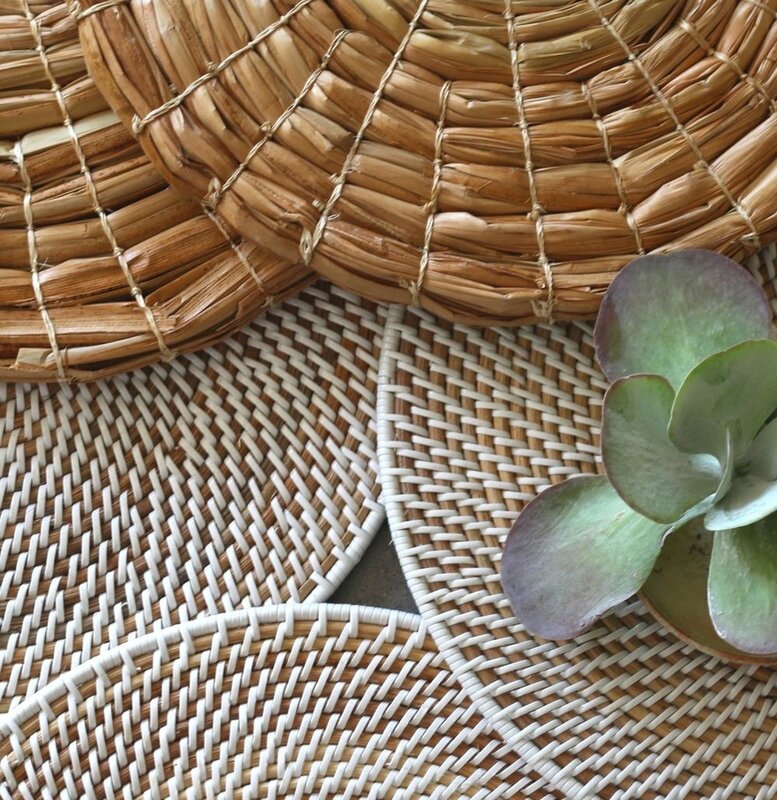 Deborah Rhodes is the designer of the Original Braided Round Placemat. The placemat collection boasts over 200 colors in different designs. Every placemat is sewn by hand. Often imitated but never the same, their dedicated team are scrupulous in making sure that what ends up on your table is of the highest quality and ready for you to enjoy for many years to come. These placemats are so amazingly practical and will add a touch of fun, fashion, and elegance to your table. Initially a secret between those in the know, from Positano Eau d’Italie quickly traveled the world, the key to its success being a truly Italian ingredient: la passione, that same burning passion that gave the world beauty and excellence in art, fashion and design. At Eau d’Italie we work with the greatest creators in the world – "noses", as they are called in the industry – and we use only top grade materials, to create fragrances and body care products which are always contemporary, always original, always inspiring. A sparkling and seamlessly blended Eau de Toilette, Eau d'Italie is the award-winning signature fragrance of Positano's Hotel Le Sirenuse. Philadelphia design studio Edgewood Made exists within the intersection of nature and manufacturing. Understanding the space in which these entities coexist is at the foundation of what drives their design. 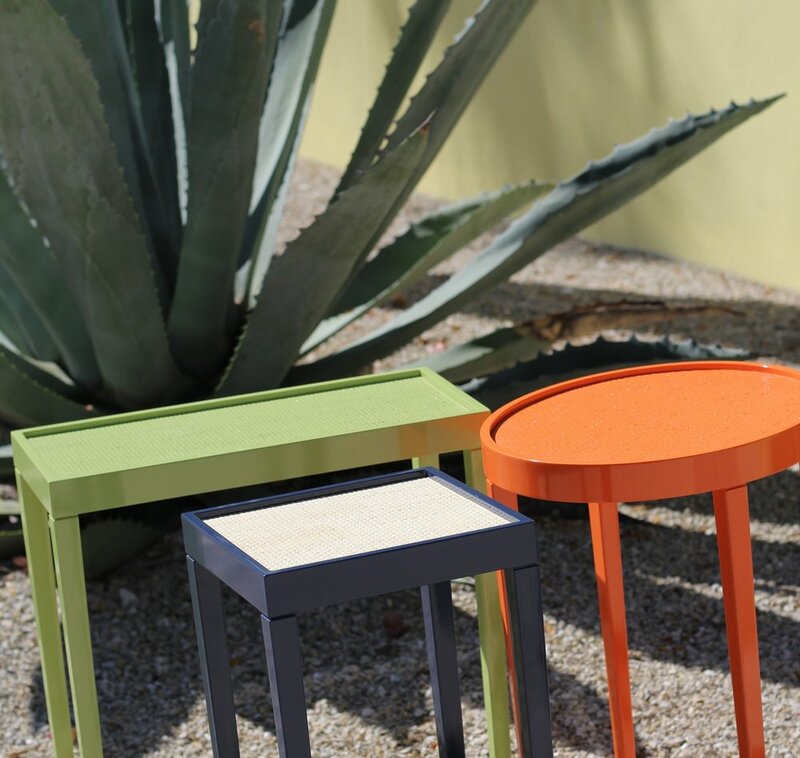 Edgewood Made creates goods for every aspect of life in the home. 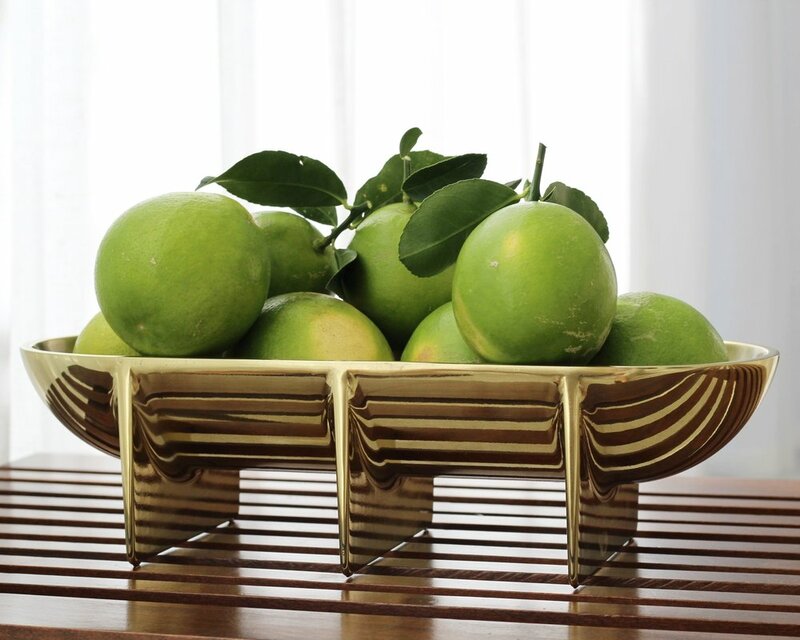 Edgewood Made believes that well-made objects should be a part of everyday lives. Behind their products is a drive to not only bring manufacturing back to America, but also make sure that it is of the highest quality. FS Objects is the home goods division of Fort Standard, a contemporary design studio and manufacturer based in Red Hook, Brooklyn. Their approach to design explores the interplay of natural materials and modern production processes, creating distinctive designs rooted in simplicity and functionality. Merging progressive design thinking with an obsessive approach to craft, they believe in generating value through good design to transform everyday spaces into ideal living environments. Isabel Halley makes all of her ceramics in Brooklyn. Each piece is hand pinched, rolled, and painted by the artist. We at Pansy Bayou attained a handful of her custom pieces for your tabletop that are truly individual, delicate and special. Each piece is one of a kind. John Pirman’s work can be seen throughout multiple facets of the design industry; from illustrations in The New York Times to holiday cards in the MoMa retail store. 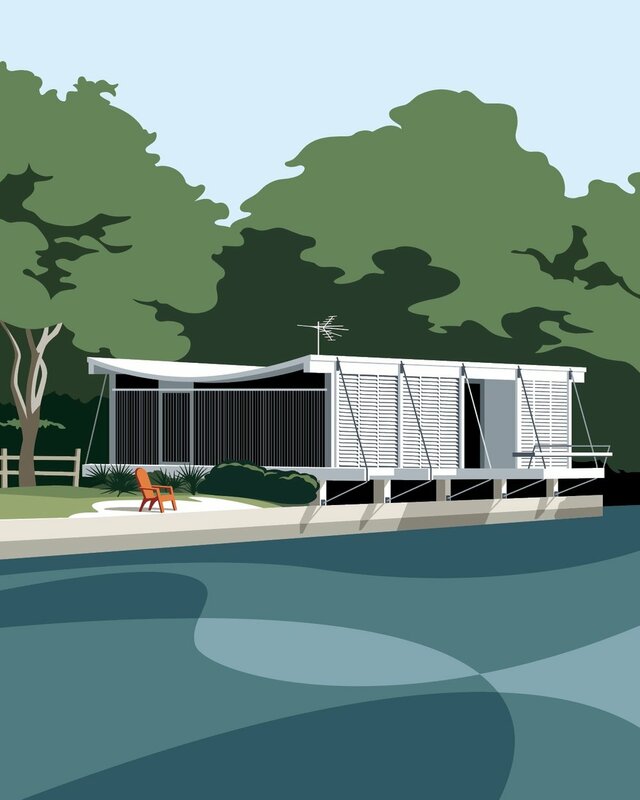 Pansy Bayou proudly represents some of John Pirman’s large graphic prints of local Sarasota architecture, landscapes, and more. Striving for perfection in form and function, Light +Ladder creates objects that are thoughtful, useful and made to last. Their products are inspired by the vivid simplicity of the natural world and the geometric lines of the modern city. Light + Ladder’s goal is to have the home feel like a garden so they bring nature inside with a sleek yet practical approach to luxury. All mohair blankets are handmade in Finland and brushed with natural thistles. Both durable and resilient, mohair is notable for its high luster and ability to take dyes exceptionally well. Pansy Bayou is proud to present luxurious and colorful handmade mohair blankets designed by a family of artisans with decades of experience in the textile industry. Mud Australia was founded in 1994. The porcelain range, designed by Shelley Simpson, combines hand made processes, clean lines, color palette & functionality. The end result is a product that neatly intersects a minimalist aesthetic with an artisan finish. Our porcelain happily fits in any interior, providing a timeless alternative to mass produced ceramic design. At Oomph the belief is that adding a few simple elements of great design can totally transform a room. In other words, hip tables, chic chairs, outstanding lighting, and beautiful accessories can bring "oomph" to any home. Made entirely in the USA, this collection of custom-made home furnishings and accessories are strikingly fresh and modern. Whether your home is trendy or traditional, there is always room for a little oomph! A Coastal Lifestyle Book, Saints of Old Florida is about life along the Florida Panhandle. Particularly the more undiscovered areas of Port St. Joe, St. Vincent's Island, Indian Pass, St. George Island, Apalachicola, St. Teresa, and St. Marks. These coastal towns are indeed the "Saints" mentioned in the title - as they were all named by early Spanish settlers to the area. However, the most important "saints" here are the many saintly things we cherish daily. A dozen raw oysters, bare feet on pine porches, dinner together around our tables, and nights spent too long at beach bonfires. In short, these experiences are the true "saints." Handcrafted furniture produced in the Hudson Valley region of New York, Sawkille Furniture takes its creative drive from relationships to traditional, experimental and personal frameworks. A deep appreciation and study of the historic has allowed us to learn and develop our distinct furniture expression. From this cross pollination of influences our designs reflect our unique stories, symbols and associations. Skylar Morgan Furniture and Design makes handmade, clean-lined furnishings, millwork and architectural woodwork for homes and commercial spaces all over the American southeast and the world. American-made and Atlanta-proud, Skylar Morgan Furniture + Design work to contribute to the everyday dialog of design that’s making the South a creative capital of the U.S. Their motto is, build what you love, and love what you build. TAFFIN candles represent meticulous craftsmanship and care. The concentrated combinations of essential oils and the Bakelite containers make for richly fragrant and visually stunning candles to enjoy and give. By James de Givenchy, Made in France. Celebrated purveyors of fine hand-engraved stationery, The Printery operates out of a landmark 1899 building in Oyster Bay, New York. Their paper goods make perfect hostess or party gifts. Workstead is a design studio that focuses on building, interiors, and products. Their work is both functional and iconic, celebrating their interest in utility, form, and material strength. Workstead has had projects in the Wythe Hotel in Brooklyn, the Rivertown Lodge in Hudson, the Dewberry in Charleston, and numerous public and private residential projects. Iconic and simple, their lighting can be found in the Pansy Bayou showroom.